Well, I haven't updated since this past Sunday, so I will briefly tell you what I've been up to.. parent-teacher conferences were on Tuesday. 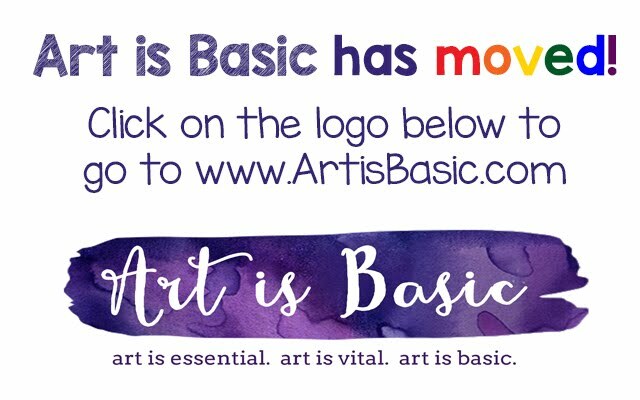 We are in the middle of various projects... monochromatic rhythm paintings (which are awesome and I will share with you later)... Rainbow Fish paintings, bird paintings, American landscape paintings.. wow, I guess we are doing a lot of paintings now. The 4/5s are doing a mosaic/fresco project which I will show you when we are further along. 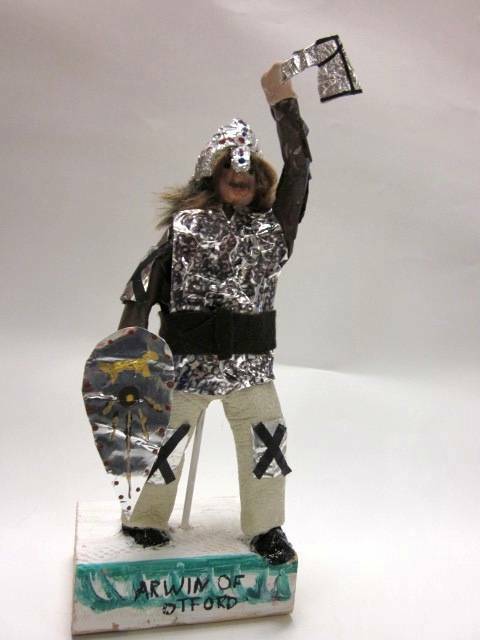 And the 5/6s have been working on these awesome Medieval paper mache knight sculptures. We start with a newspaper armature, without the head. The armature is built around a wood base with a dowel rod. 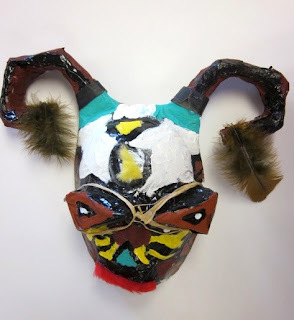 Then paper mache is applied over it. Then, the full figure is painted a neutral-ish color. Next, a head is made with model magic and later painted. Clothes are added with felt, leather and fabric. These are mostly tied and glued on. Weapons are made from all sorts of materials. 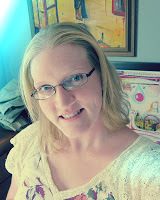 Hair can be painted on or added with yarn or furry material, or even molded with model magic. There is a lot of leeway for how the knight can be constructed. Most of the kids are not finished yet, but here is one done by a student who has already given it away to her grandma for a present. I will show you more when more are finished. 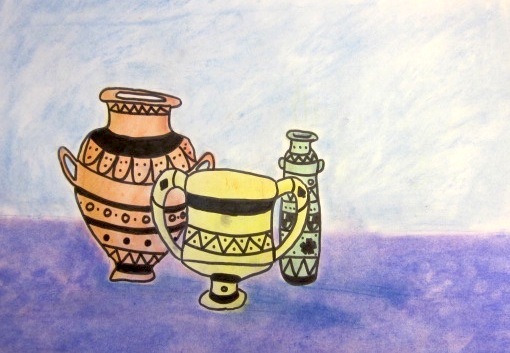 Greek Vase Drawing & Model: First, the 4/5s read a magazine about Greek vases. Then they made a small vase using modeling clay. 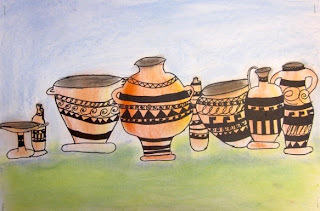 Next, they used chalk to develop a drawing of Greek vases using Greek imagery and symbols. Black sharpie markers were used to draw the designs. 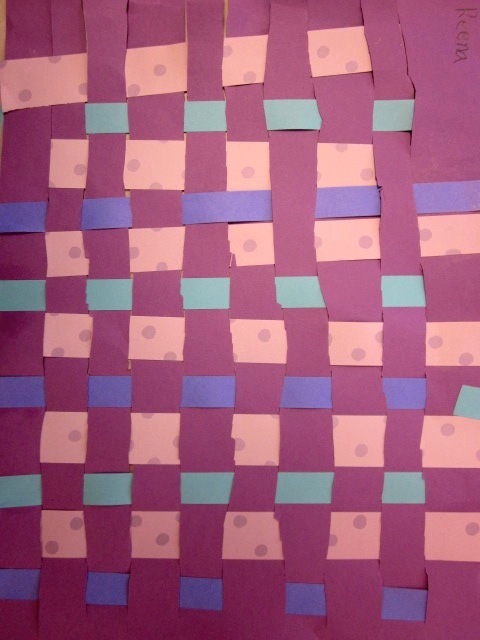 A twist on the typical paper weaving... use wrapping paper and scrapbook paper pieces. The 2nd graders studied Dr. Suess in their language arts class. In art class we looked at the artwork of Dr. Suess. 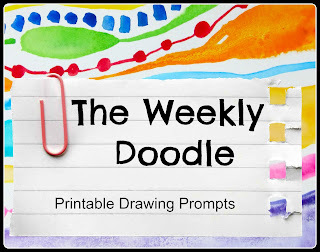 They drew whimsical architecture with wobbly and wavy lines. It's been a couple weeks, but we had a regional Youth Art Month show at the mall here. Here are my panels. We watched a powerpoint about Hokusai, the Japanese printmaker. 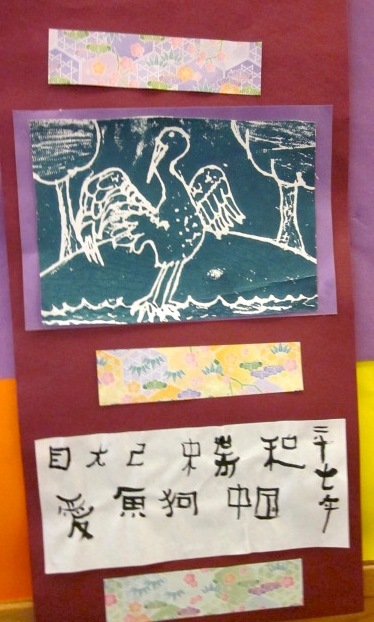 The students made styrofoam prints using imagery of nature. We practiced using calligraphy brushes with India ink. 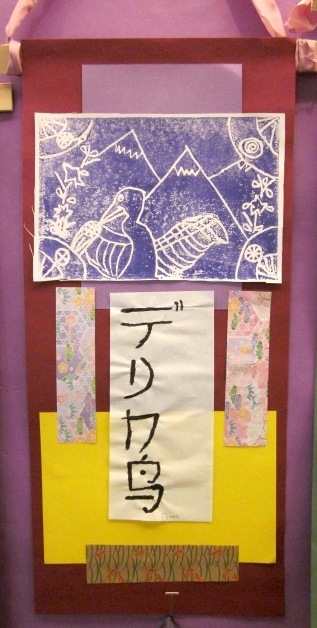 The students assembled their calligraphy and prints, along with origami paper into a hanging scroll. 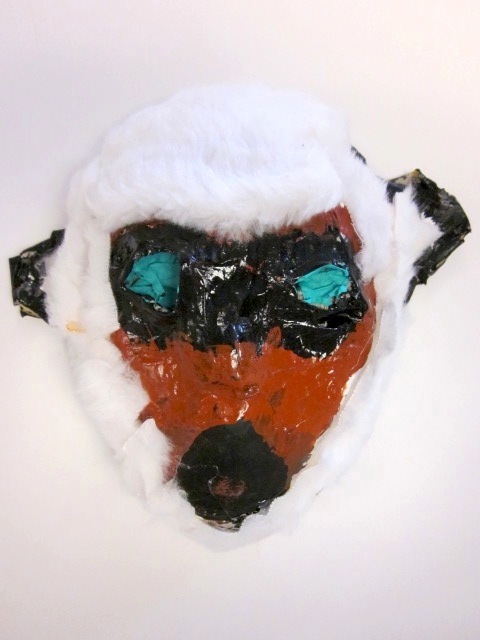 The Primaries used cool colors to paint a background for Arctic animals. They used their observation skills to draw detailed animals from pictures of these animals. This project complements their study of the Arctic in LA/SS/D. So I decided to separate out my personal artwork from my elementary art teaching pictures. 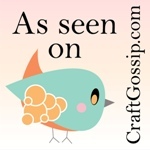 If you haven't seen this book yet, it is probably my favorite kids' book! I love it! My 18 month old loves to play with all the flaps. 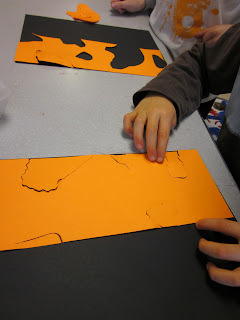 The Primaries learned about positive and negative space. They exercised their cutting skills and spatial awareness. Step One: Cut out shapes from a 4.5" x 9" colored piece of paper. Step Two: Take all of the shapes and try to put them back together like a puzzle. Finally, reposition any shapes that have shifted. Glue down! Voila! This project focused on learning about foreground, middle ground, background, shadows, and color mixing. 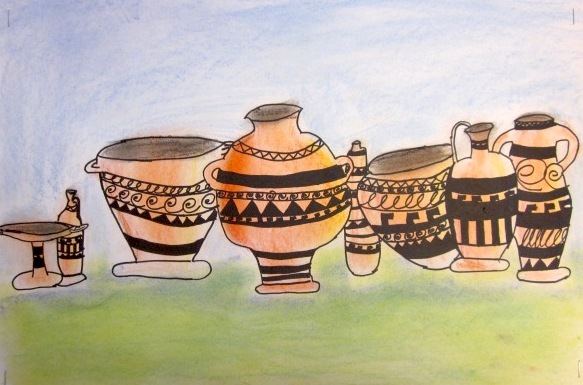 The students learned simple depth techniques. 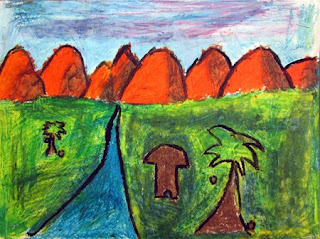 The Upper Primaries used oil pastels to draw a tropical landscape. 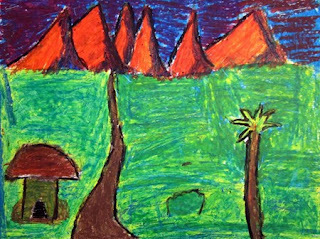 They learned how to mix and blend oil pastels to create rich colors. Paul Gauguin was studied and in particular, the students explored his painting Tahitian Landscape.